It’s great to see dogs integrated into new and an increasing number of places. The Ashland Gazette is reporting that Ashland-Greenwood Schools are placing a therapy dog in the classroom for students! They are hosting a breakfast to introduce Rizzo to the community. Part of a recent post about therapy dogs coming to airports, was this one from The Dallas Morning News (turn off adblocker to read the story), We are becoming increasingly familiar with explosive detection dogs in airports, but now it’s great to see them being available to soothe and comfort stressed-out passengers. “The goal of the program is to make the traveling experience less stressful and more pleasant,” airport official Ken Whittaker said in a statement. With students going back to school around the country, Huffington Post is reporting on an increase in therapy dogs showing up to relieve the stress of students. University of South Carolina is just one of the many to implement a canine program to help students of any year. As students returned to the University of South Carolina this year, they were greeted by Indy, a therapy puppy who will soon be a consistent presence on campus, the Raleigh News & Observer reported. Once Indy’s training is complete, she will participate in pet-a-puppy events and hold office hours at the university’s Student Health Services. Finally, Nancy Partridge from the Los Alamos Daily Post writes about Medical Detection Dogs and how they can help detect cancer in patients; as well as the benefits of exposure to animals. In one study, a Labrador retriever trained in cancer scent detection correctly identified 91 percent of breath samples and 97 percent of stool samples from patients with colon cancer. In another study, a German shepherd identified ovarian cancer malignancies form tissue samples with 90 percent accuracy. This entry was posted in advocacy, list on September 3, 2018 by dexterkelly. While the title of this post isn’t that appealing, ear infections are common for many floppy-ear dog breeds such as shih tzu, poodle, pit bull, cocker spaniel, and Shar Pei. Infections generally fall into two categories; bacterial, or yeast. WebMD says the main contributing factors of ear infections are: ear mites, excessive hair, moisture or wax, foreign bodies, allergies, and hypothyroidism. Not adequately drying or airing out ears after swimming, or exploring overgrown areas outdoors can expose your dog to the contributing causes of ear infections. Infected ears can be uncomfortable for your dog, both because of the irritation in their ear canal, but also excessive scratching can cause cuts and increase the redness, as they attempt to scratch the itch away. From time to time I have had to treat ear infections in my dog at home and found the following to be helpful to treat both kinds. When the non-prescription products don’t work after a few days, then a trip to the vet is necessary. I have found that often my grocery store pharmacy can order pet prescriptions. If you know you have a prescription coming your way from the vet, it is helpful to call the grocery store pharmacy to check their pricing to ensure you don’t overpay at the vet. If your pet prescription requires refills, you might as well save a stop and get them at the same time as your prescriptions (if any), or your groceries! Otibiotic is made by VetUS (Henry Schein Animal Health) and comes in a 15g tube, with instructions to administer 5 drops in the ear each day, for 14 days. The ingredients are gentamicin sulphate, betamethasone valerate, and clotrimazole and they are mixed in a mineral oil paste. It controls bacteria and fungus, and is an anti-inflammatory. It has the same active ingredients and proportion of ingredients as Otomax, however it is less expensive. Otomax is made by Merk Animal Health and was the original prescribed product we had received to treat both the bacterial and fungal ear infection. It contains gentamicin sulphate, betamethasone valerate, and clotrimazole, and is mixed with a mineral oil paste to aid in application. Epi-Otic made by Virbac is a clear rinse that helps remove cellular debris and wax from the ears and contains an anti-irritant. The active ingredients are diethylene glycol monoethyl ether, salicylic acid, and chloroxylenol. It is applied by filling the ear, massaging for 60-90 seconds, then allowing the dog to shake out the excess. After that, a cotton swab should be used to wipe out the remaining, along with any debris or wax that has been loosened. Any following medication should be applied after the Epi-Otic has dried. EcoEars is a natural product made by VetOrganics in the USA. The ingredients are: deionized water, witch hazel extract, denatured grain alcohol, vegetable glycerin, polysorbate 20 (food grade), boric acid, tea tree oil, ionic silver solution, organic mullein leaf extract, rosemary extract, and fingerroot extract. It is a clear liquid that can be administered directly in to the ear, or for squirmy dogs, a cotton ball can be soaked and the liquid squeezed into the ear. The VetOrganics website goes into further detail to describe how each of the ingredients work to clear up the infection. I have found that it works well as a maintenance product. The label recommends using it twice per day for 10 days, or longer as necessary; weekly as a maintenance product. I found that the prescription medications show a visible improvement in the appearance of ear cleanliness and smell within hours of applying them. Finally, Vet’s Best Ear Relief Dry is another natural formula made in the USA (Texas, to be exact) and contains Calendula, Clove Oil, Aloe Vera, Chamomie, Tea Tree Oil, Silica and Echinacea. It too is a white paste that dries to a powder which helps absorb moisture which can cause bacterial and yeast growth. The recommended application is to squeeze into the ear canal and let dry. This should be used before and after bathing or swimming, and can be used regularly as a maintenance product. I find this especially useful after baths because I know there is often water remaining inside Dexter’s floppy ears. Some of the product links above are affiliate links to the product pages on Amazon. This entry was posted in grooming, list, review, safety on September 1, 2018 by dexterkelly. Originally started through crowdfunding, Benebone has become very popular and I can speak from experience, that my dogs love them! Made in New York of USA-sourced nylon with the flavor from real bacon, peanuts, and chicken; they are durable and highly addictive! Starting with their ‘wishbone’ shape, they have since branched off into several different models and flavors. Check out the original bacon Wishbone here. I agree with the top reviews on Amazon that all of the Benebone products are durable even for the heaviest of chewers. They come in several sizes so be sure to select the one that is appropriate for your dog. Very durable. Will provide a very long ‘chew time’ even for big dogs. Made using Real Flavors from real bacon, peanuts, and chicken. Come in a variety of shapes and sizes to appeal to any dog. Can be too hard for some dogs. Make sure you select the correct size and monitor your dogs usage of this product. Cost. They can be more expensive than other nylon toys, but consider the size and amount of engagement your dog will get from Benebone versus another nylon product. Overall, these toys are great for all sizes of dogs, just be sure to select the correct format. Another great nylon product Made in the USA is from Nylabone. There is a reason that the Nylabone website starts with “For Every Reason To Chew, There’s A Nylabone”. This long-standing company makes hundreds of products for heavy chewers. Treats, bones, toys, and chews; they make it all. All sizes, shapes, and flavors, you will find a Nylabone product that your dog will find irresistible. Comes in every combinations of size, shape, and flavor you can imagine. Products for all states of life (puppy & adult). Covers all price ranges, from value to premium. Can be overwhelming to find the ‘right’ product. Be sure to use their Custom Product Finder on their website. Scent can be weak or fade quickly. Some reports from these toys say that the scent can be weak. Be sure to keep the package sealed until ready to share with your pup! Overall, the track record of this company is stellar and they are sure to have a toy to exactly match your dogs engagement level, but don’t stress over finding the perfect toy; use their product search feature to find a few your dog will like! West Paw designs and manufactures their toys in Bozeman, Montana. Their in-house team carefully designs and tests their toys to ensure they will be loved, and loved for a long time. They come in fun colors and are environmentally friendly, and non-toxic. They have an ever-expanding list of toys available and all kinds of fun an innovative shapes. Fun, colorful, designs. Very unique shapes for fun and stimulating play. Good size product range for a lot to choose from specific for your dogs play style. Money back, or product replacement guarantee. Some reports of quickly destroyed toys. Be sure to take advantage of their guarantee. Limited availability – mostly independent pet stores, but check for them on Amazon. Overall, West Paw is a highly engaged company that puts a heavy emphasis on creativity and ensure long play time with their fun and durable products. Contact them if – for some reason – your dog destroys the toy quickly. Brent-Wood Products has introduced small to extra-extra large Bow Wow dog houses. They are made from upcycled wood, and built in Los Angeles. The image above is their Palo-Alto model. Using the sizing guide on their website in the link above, or call them directly at 800-400-7335 and they will help you select the right house for your dog. Made in the USA using upcycled wood. High-design models built buy hand. Direct customer service number to plan your house with a consultant. Limited retail outlets to see models and order in person. Check out their website for the list of retailers. Overall, this custom product will provide a stylish and spacious outdoor home for your dog. Buying American has many benefits including ensuring that jobs are created and stay in our economy. That also has the secondary benefit of keeping money in communities where those people live. By creating products and adding value to physical goods that we modify and build here, we are increasing our GDP, a measure of our global competitiveness. Everything that we build and keep in our country reduces our reliance on importing foreign goods. When someone in your community builds a product, you know they will stand behind it and offer a high level of service after the sale. You can also know that they are aware of the components of that product and there is an increased likelihood that the output is safer than an unknown product. This entry was posted in advocacy, list, safety, shopping on August 29, 2018 by dexterkelly. Therapy dogs from SwedishAmerican Hospital gathered at Klehm Arboretum where little children were able to bring in their favorite book to read to the dogs. The dogs spend their time visiting cancer patients at the hospital. Check out the video on the 23WIFR site! It’s great to see that dogs are taking a more active role in policing, not only in catching criminals, but also comforting law enforcement! Their work is stressful and emotionally draining, so having this cute goldendoodle to comfort and calm them will be a huge benefit. Check out the video at the site above how Dugger Union School brought on a certified therapy dog, Maggie, to help ease the anxiety of reading in front of others, or to help calm nerves. This is a bittersweet moment for the Royal Canadian Mounted Police. Max is a crisis and therapy dog working for the Prince George RCMP’s Victim Services Unit. In fact, Max was the RCMP’s first professional therapy dog in Canada. The RCMP recently hosted a retirement party for Max. Check out the article above for Max’s accomplishments and the details of his celebration! Follow Bark4Treats on Twitter for more uplifting stories! This entry was posted in advocacy, events, hero profile, list, videos on August 25, 2018 by dexterkelly. Last article featured mostly dog treats and food Made In America, but this time In this we look at some durable toys and durable products that your dog will love. Not only will these products improve the lives of your puppy, but when you buy American, you support our domestic economy. Keeping money here helps create and maintain jobs in our communities. It helps fund schools and has a ripple effect because the money you spend to buy the product is spent again in a community close to home; by the men and women building and creating the things your dog loves. Not only will these products give your dog a warm heart, but yours too! Planet Dog Orbee-Tuff Balls – These ultra-durable balls are made of non-toxic, 100% recyclable materials right here in the USA. 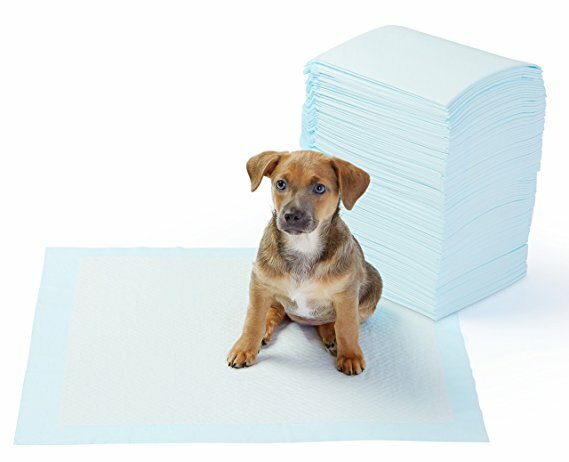 The company even offers a guarantee if your dog destroys it. I can say that after several years of owning one of these, that it takes a lot of abuse and still looks brand new. It has an incredible bounce to it too, so it will keep your pup really engaged while playing. Check out some of their holiday themed balls as well! American Mutt – American Mutt has a wide assortment of products all Made in America. They are one of the few companies I have seen that makes a dog bed 100% in the USA. Check out their CoreBlu bed which is Waterproof, Fungal-proof, and has an incredible 5 Year Warranty! With that commitment, you know the company and employees put care and attention into what they make. There are several styles of bed to choose from, including a bolster bed that is raised off the floor! SaltSox – Protect your pups paws from summer heat, dirty sidewalks, hot sand and much more. The built-in heat barrier reflects radiant surface heat and the breathable mesh fabric allows for natural cooling. Perfect for when the temperatures soar! Check out their versions for temperatures both hot (LavaSox) and cold (SaltSox). Both varieties are made in Chicago, IL! The bottom of the sock even has a grippy sole to improve traction indoors and out. This is the perfect gift for dog lovers who live in cities, or the suburbs where regular walking on pavement and snow can cause injury. AquaComb – This innovative tool is made in Sarasota, Florida. It connects to a hose (garden or otherwise) and the patent-pending fingers direct water beneath even the thickest of dog coats to help deep clean dirt and dander. The fingers come in two lengths for short and longer coats, so there is one that is perfect for your pet. It comes in four models as well, made specifically for dogs, made for grooming horses, and models for cleaning pool and spa filters. This product is great for 4-H clubs and others who spend lots of time washing dogs, grooming horses or ponies. This entry was posted in grooming, list, review, safety, winter safety on August 22, 2018 by dexterkelly. Subscription boxes are not just for humans. You can also get monthly deliveries of treats and toys for your furry friends. One of the best-known boxes of this type is BarkBox, which contains dog chews, treats, and dog toys. BarkBox is one of the most famous and well-known dog subscription box around. Each month, they deliver four to five toys, treats and, occasionally, hygiene products or bonus items for dog owners and their pets. Each bark box contains about four or five items, which are not similar from month to month. When you register, you enter your puppy’s weight to get items of the right size for your pup, and if there is an item that your dog does not like, you can replace it for free. They also have options for adding additional toys, selecting an option for toys for heavy chewers, and gifting boxes if you want to treat another special dog! If you are thinking of the best way to spoil your furry friend with an awesome gift and treats bundle, think of a subscription service to keep the gifts coming month after month! Before making a choice, check out the following benefits of having subscriptions services. For most people, the great advantage of subscription boxes is the fun factor. Dog owners who talked about why they choose subscription boxes say they enjoy the suspense of looking forward to each month’s box, and speculating what it will contain. Also waiting for that box each month without knowing what it is, creates an adrenaline rush, kind of like getting a birthday gift every month. Convenience: Having the items delivered consistently every month can save you shopping time. For example, due to my busy schedule, I make use of subscription service to get my dog food and other pet grooming items on the monthly schedule. That way, I don’t have to take time out of my tight schedule for running around town from store to store. Custom Picked Items: With a lot of subscription boxes, the items you receive each month are chosen specifically for your dog, according to your dog particular needs and preferences. This can be major benefits for dog owners who have difficulty finding what they like in stores or who just don’t enjoy shopping. For many owners knowing the items were chosen just for them increases the excitement of opening a new box. And getting these select goodies makes people’s feel unique and also boosts their self-esteem. Potential Savings: Having treats shipped to you in a subscription box is often cheaper than buying each of these items individually. Some subscription services offer a 5% discount on all items sent from them. Other subscription services provide even greater savings. Quality Products: For example, according to BarkBox, all boxes are free of wheat, corn, and soybeans, and they also makes special allergy-friendly canine boxes for pooches who are allergic to chicken, beef, and turkey. All of BarkBox’s treats are Made in the USA! For more information, check out the links to some great subscription services below! Pooch Perks – Treats Made in the USA with fun-themed toys! Big Paw Treat Club – Nearly a pound of freshly baked treats with Free Shipping! 3-month, 6-month, and 12-month subscriptions available; or order individually by the bag. Use code BIGPAW15 for 15% off your order! BullyMake – BullyMake is specifically designed for dogs who are power chewers. In fact, BullyMake offers a 14-day guarantee. If you dog destroys a toy they send within 14 days of receiving it, they will replace it! Buy one box at a time, or a subscription of up to 12 months to keep the toys arriving! This entry was posted in list, review on August 20, 2018 by dexterkelly.